Based on the geographical information system (GIS) and revised universal soil loss equation (RUSLE), the parameter factors are calculated by means of the observed rainfall, soil data, digital elevation model (DEM), and remote sensing (RS) image data to obtain the moduli of the soil erosion, discuss its spatial distribution characteristics, and propose the planning of soil and water conservation measures further according to the distribution of soil erosion intensity, the sandy soil and the thickness of soil layer distribution in the area along the Yangtze River in Jiangsu Province. 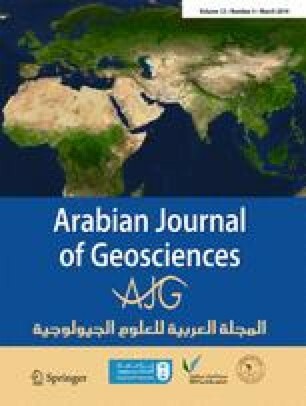 The study results show that the total amount of soil loss in the area is 6.5 million (t a−1) approximately, the average soil erosion modulus is 3.839 (t ha−1a−1), and the total erosion area is 16,935.1km2, accounting for 33.2% of the total area along the Yangtze River in Jiangsu Province. The intensity of soil erosion is mainly micro or slight, which is distributed all over the area, with dispersed distribution on the most domain and concentrated distribution in specific part; however, severe or worse soil erosion seldom occurs, which is only scattered in the hilly and mountainous areas on the south bank of the Yangtze River and the surrounding area of the Taihu Lake if any. The soil erosion area of cultivated land is the largest, and the second one is the urban land, accounting for 49.1% and 27.4% of the total erosion area, respectively. 99.7% of the total soil erosion occurs in the areas with an elevation of less than 100 m, while 98.6% soil erosion occurs in the areas with a slope within 0–15 degree. The map of soil and water conservation measure planning is drawn, and the two most widespread measures for soil and water conservation in the study area are ecological restoration and soil conservation tillage, which are mostly concentrated in the plain area of the north of the Yangtze River with an underdeveloped economy in comparison with the south bank.